Many people throw around terms like "antioxidant" and "amino acid-mineral complex" without knowing precisely what they mean. Sure, you need them… but why? Your body needs a constant stream of vitamins, minerals, antioxidants and amino acids to function properly. Many of these things are found in the foods we eat, but we don't always eat the right amounts (when was the last time you ate a serving of spinach? Be honest!) or eat them at the right frequencies. That's why herbal supplements made by a trusted manufacturer are so important to our good health - they help make up for what we miss on a daily basis. 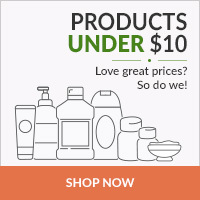 PureFormulas offers more than 170 herbal and nutritional supplements by Ecological Formulas, Inc., one of the world's most respected manufacturers. Using Ecological Formulas supplements can assist you with everything from bladder health to digestion, and from acne to the common cold. Ecological Formulas even makes germ-killing sanitizer wipes - and you can find them all here, on PureFormulas.com. For any questions about the Ecological Formulas products that PureFormulas	carries, please feel free to contact our in-house nutritionists here. Ecological Formulas is a professional brand. Their products are formulated to be administered by recommendation and under the supervision of a healthcare professional.